Stone Cold Steve Austin was never one to hold back his opinions, either while wrestling or as an observer. He recently mentioned on his podcast what he misses the most about not being a pro wrestler any more than anything else - the adrenaline the wrestlers get from the crowd. 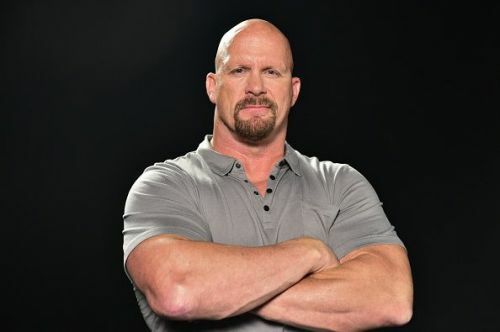 Stone Cold Steve Austin was one of the biggest stars in pro wrestling during his tenure in WWE from the mid 1990s to his last match at WrestleMania 19 in 2003. He helped WWE win the Monday Night Wars over WCW, and was synonymous with pro wrestling for over a decade. His feud with Mr McMahon was legendary, as were his matches with Bret Hart, Shawn Michaels, The Undertaker, and the Rock. Austin left the WWE in 2003 just as the current crop of future Hall of Famers like John Cena, Batista, Brock Lesnar, and Randy Orton were just starting their WWE careers. Since his departure, Austin has acted in several movies, hosts his own television show, the Broken Skull Challenge on CMT, and has his own podcast. He has kept busy, and always has an opinion on the current goings on in the world of WWE and pro wrestling. Austin's podcasts are always great sources of news/perspective tidbits, and this particular one was a great example. “One of the biggest things I missed about the business – I’m over it now – you miss the paycheck. f–k the paychecks. What you miss the most is the adrenaline from that crowd. Whether it’s a boo or a cheer, it’s the desired reaction you’re trying to achieve at the time at the highest level. Austin has returned to WWE for many special occasions like Raw 25 Years and big spots at WrestleManias. Austin prematurely left WWE in 2003 with so much left to do in his career. He wasn't happy with the way things were going so he opted to leave. Had he stayed, he could have had feuds with the up and coming stars like Batista, John Cena, Randy Orton, and Brock Lesnar. He did mention that at the time, he was more concerned with making money. But he also did suffer serious knee injuries and a neck injury that almost ended his career. His words about missing the adrenaline from the crowd responses sounds a lot like a guy who may feel like he has unfinished business. It's hard for athletes to completely walk away from their respective sports, but with the advancements in health care and medicine, careers are being prolonged. Perhaps Austin may have returned as a competitor had the advancements in the medical field been in his time, but for now, his podcast is his squared circle.